Recycled Aggregate Materials Company, Inc.
RAMCO is a third generation family-owned and operated leader in the construction materials industry. With almost 70 years of experience, our reputation has been built on integrity and excellent service. We are committed to being a respected leader and producer of quality and competitively priced recycled aggregate materials for the construction industry we serve. Our facilities are easily accessible to dump trucks, trailers and roll-offs. We are flexible with our schedule and can generally accommodate night and, with prior arrangements, weekend operations. Please contact dispatch at the desired site prior to your deliveries, or click on a location below. 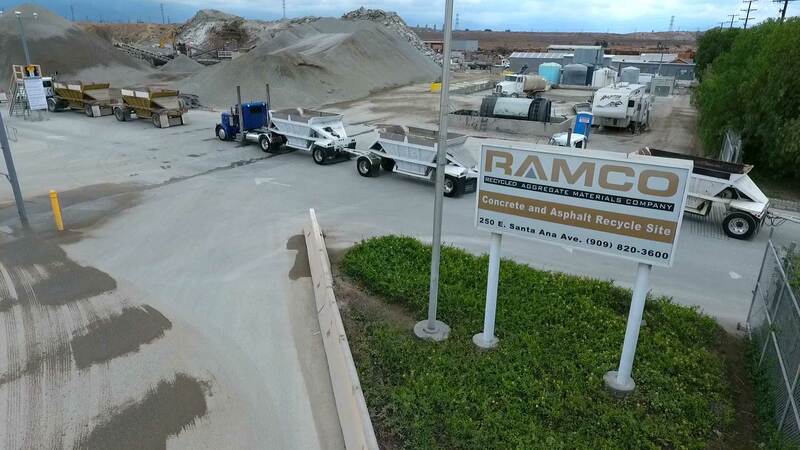 Ramco has opened a new concrete and asphalt recycle site in Riverside & San Bernardino County. Click here for more details.